« Junk in the Trunk Vintage Market – Tomorrow! Welcome to Pregnancy Week here at Our Dream Foreclosure! This week, I’ll mark my 36th week of pregnancy #2. I.CANNOT.BELIEVE.IT. This pregnancy is flying by so fast compared to pregnancy #1 (which seemed to drag on and on). This is a funny topic to me because my goal last time – and this time – is to plan as little as possible so I don’t end up disappointed. Last time, that turned out to be a wise choice. As I wrote about in Kenton’s Birth Story – I wound up with an emergency c-section due to cord occult, a possibly serious situation where his life and mine would have been at risk if we proceeded with a vaginal birth. So happy listening to angry/healthy baby screams after my c-section. This time, I had a choice. 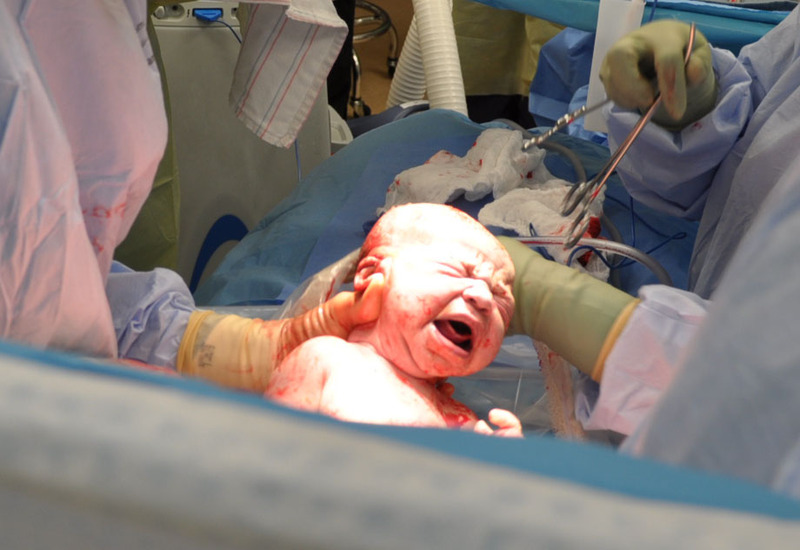 I could schedule a repeat c-section or try again for vaginal birth in what’s called a Vaginal Birth after Cesarean (VBAC). So, if I did the c-section again, there are several pro’s in my book. As a planner, I liked the idea of knowing the baby’s birthdate ahead of time. I liked the idea I could get a good night’s rest the night before and go into this next chapter of two under two with at least one night’s sleep under my belt. I liked the bleeding thing – seriously. I would plan on happily filling my pain med prescription immediately. It’s something I have already experienced and therefore know what to expect. But… there are some con’s too. The most important con, for me – was the recovery “rule” that you not lift anything heavier than the newborn for six weeks post-surgery. That would mean no lifting my 16-month old for almost two months. That is nearly an unbearable thought to me. Kenton’s world is about to get seriously rocked. If I can’t pick him up when he cries for me – it’s going to be really hard, on both of us. The other major con is breastfeeding. Last time, my milk took six days to come in and even after it did, I constantly struggled with having enough. The c-section may be partly to blame for that. This time, I am hell bent on having a better breastfeeding experience. In fact, I’ve already contact local lactation experts and warned them I’ll be calling. A lot. So, after thinking over these things, talking to Jason and my OB, I’ve decided on a VBAC. I’m a bit nervous. VBAC’s are best when there’s been at least 18 months between deliveries – not my case. However, I’m mentally prepared to do it. I want to do it. I’ve been trying to get my body into shape to do it. So, hopefully, I can do it! My OB has warned me, however, that if I go to 41 weeks, we’re scheduling a c-section. She said that the success rate of VBAC drops dramatically after that point – and I cannot be induced – so we’ll have to go the surgical route again. Kenton was eight days late, so that is still a very real possibility. I cannot be induced because (watch out for amateur terms here)… if my body is not ready on its own for labor and we start that process artificially, baby’s head could start banging up against my previous c-section scar, putting me at risk of uterine rupture. We all know that’s a bad idea! Also, the hospital where I’ll be delivering does not permit inducing a VBAC patient. So, that’s that. If you’re a praying person, I would sure appreciate you praying that this baby comes on its own, perhaps a few days early, and I am able to have a successful VBAC. A healthy baby in mommy’s arms! Epidural! I don’t need to be a hero, but I would like to get to 6cm on my own first. Delayed cord cutting. We are not collecting cord blood – so I want the good stuff pumped into the baby before it’s cut. Immediate breastfeeding – I’m serious about it! Obviously, I’ll keep you posted! Good for you, michelle! I cant believe you are about to have baby # 2! Wow, Michelle! I found my birth plan was completely thrown out the window in the end, so I am glad to read that you are seeking prayer and for a healthy baby rather than some mamas that are soooo caught up in the “natural birthing” being the most important thing. I, too, met with maybe 4 lactation consultants while still in the hospital, so definitely use who is available and don’t be afraid to ask for their help. Plus a lactation support group helped me immensely afterwards or else i would not have made it to 13 months breastfeeding… sounds like you are seeking out those things so yippee! Baby Fortin will be so blessed to meet you in a few weeks! We’re so excited for you! 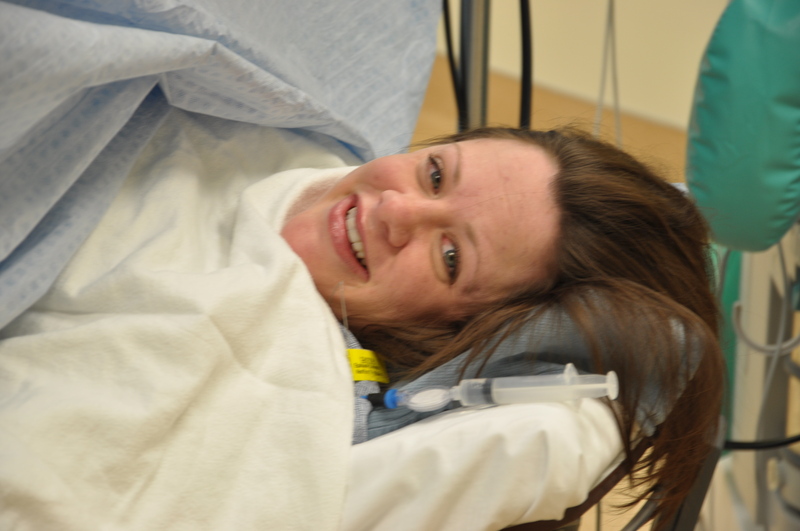 Funny story about epidurals (yes, I have one! ): My mother told me that she had natural childbirth for all three children, meaning no drugs. I said “Wow, Mom, that’s impressive. Especially back then. Not even an epidural.” And she said to me, as she leaned into me and spoke in a whisper “Oh, honey, I had the epidural. Everybody had the epidural.” Ok, Mom! Call it the way you see it! 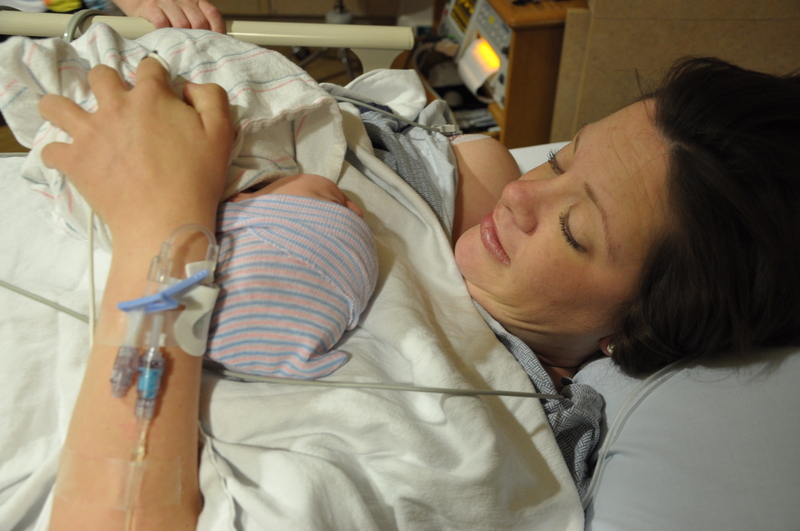 on September 17, 2012 at 12:55 PM | Reply Kristen D.
How did you not bleed after your c-section? I bled for six weeks after mine! Luck woman! on September 17, 2012 at 12:58 PM | Reply Kristen D.